Have you met Gin? Not to be confused with that hideous hooch that tastes like pine needles, this Gin is a fabulous enabler and a master eBayer with a great eye. Okay, perhaps made is a strong word, but I am claiming to be powerless over Gin’s enablement. When she sends me a link to something this cool, I have no choice but to buy it. Thats my story and I am sticking to it. 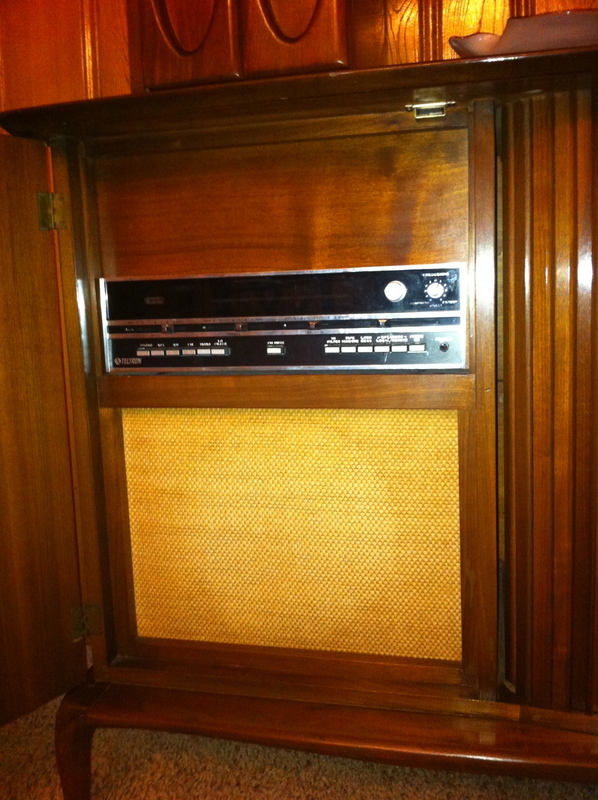 Behind door number one we have an AM/FM stereo receiver. 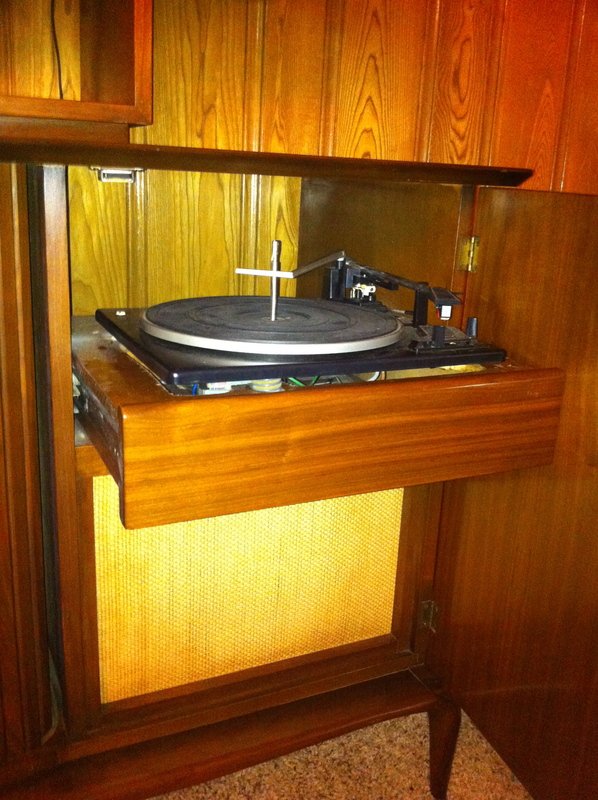 And behind door number two we have a Garrard turntable. The center section has retractable doors and appears, at some point in its life, to have held a television. The electronics need some work and we need to pick up some speakers for it, but ain’t she a beauty?! 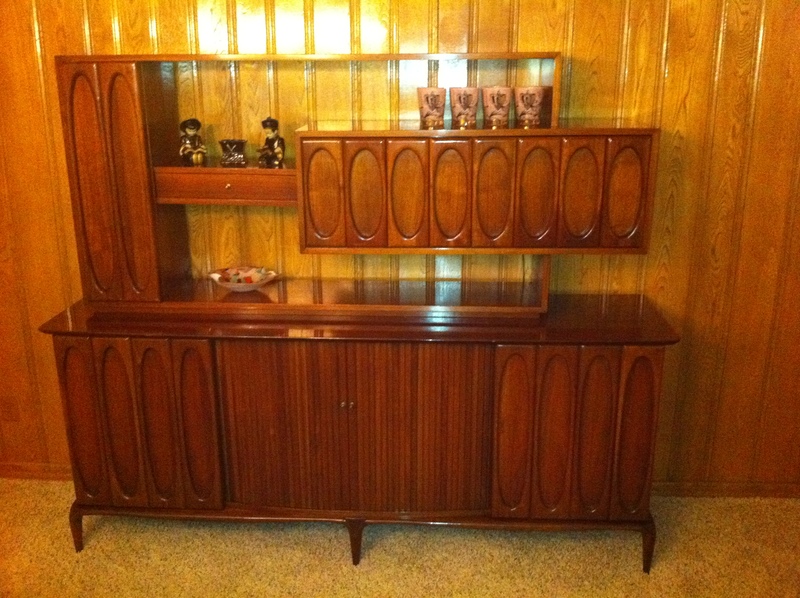 And solid walnut too–no veneer on this gal. So a hats off and a huge thanks to an amazing enabler. I hope to return the favor one day. Stunning! 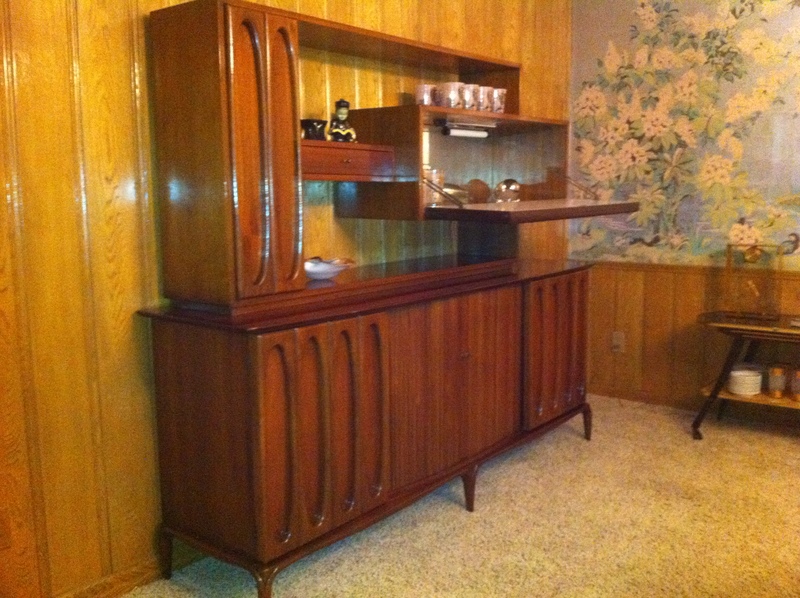 I LOVE your choice of placement and how the elongated ovals play off the verticality of the paneling. Masterful. It’s even morebreathtaking than I remembered. Happy I could bring together such a perfect match.